Happy Mother’s Day. 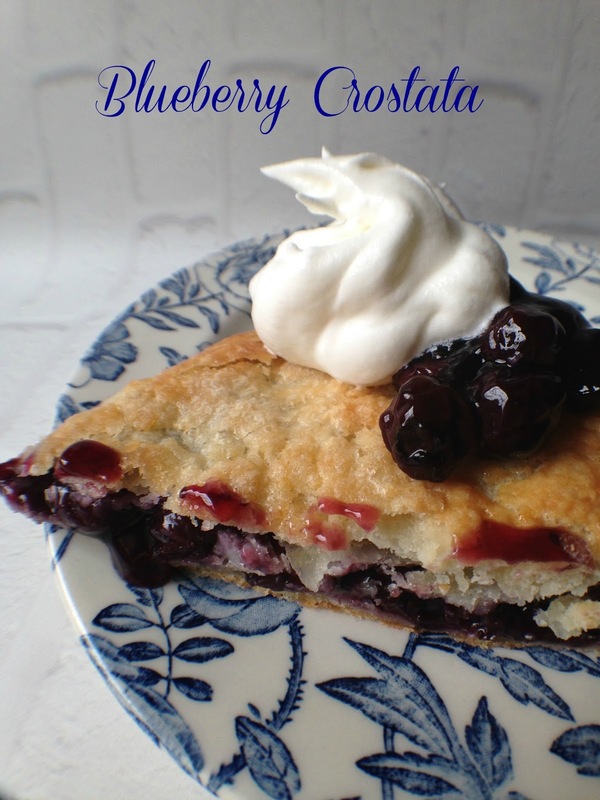 Make this irresistible Blueberry Crostata for your mom today, she is going to love it. Mom doesn’t like blueberries? 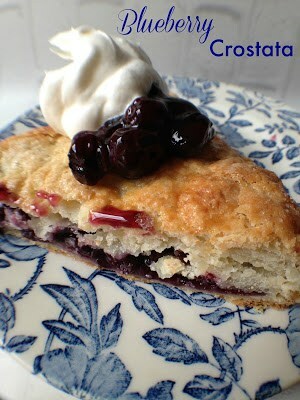 Make this crostata with cherries, strawberries, apples or your mom’s favorite fruit. This Blueberry Crostata is absolutely wonderful. 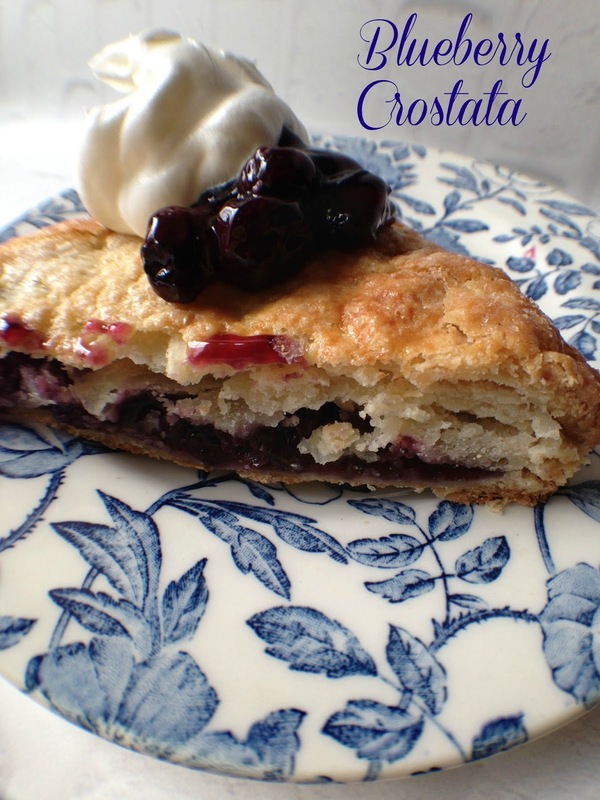 I look forward to making this crostata again and again….the only difference will be the type of fruit filling I use. 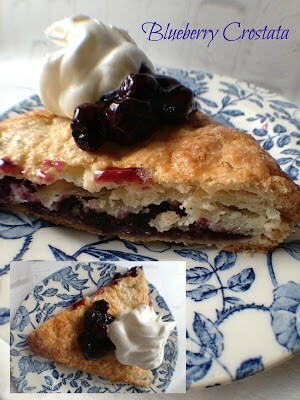 We are huge fans of cherry and apple filling but you could easily use lemon, poppy seed or even a prune filling. Place the flour and sugar in a food processor and give it a whirl to blend. Add the slices of butter and process again, pulsing until the butter is all broken up. Add half the ice water and pulse. Keep pulsing until the dough gathers together into a ball. If it doesn’t, add a little bit more of the water and pulse. You may not use all the water. Place the dough on a floured piece of plastic wrap and flatten into a disc. Flour the top of the dough, wrap it up and place it in the fridge for at least 30 minutes. You can make this dough ahead and just keep it in the fridge if you want. Place the blueberries in a medium bowl. In a small bowl, place the sugar, cornstarch, lemon zest, lemon juice and cinnamon. Blend well with a fork or whisk. Pour over the blueberries and toss to coat thoroughly. At this point, you can also place the filling in the fridge until you are ready to assemble the dessert for baking. Preheat oven to 375 degrees. Place a piece of baking parchment paper in a rimmed baking sheet. Take the dough out of the fridge, unwrap it and let it sit for a good 15 minutes on the plastic wrap. Place another piece of plastic wrap on top of the dough (flour the dough a little). With a rolling pin, roll the dough out into a 12 to 13 inch disc. Use your rolling pin to flatten the dough a bit to get it started. If the dough is hard to roll out, let it sit for about 5 minutes and it will relax. Come back to it and it will roll out easily. The plastic wrap will keep it from sticking to the counter and the rolling pin. Wrap the dough a little over the rolling pin and transfer it to the baking parchment. 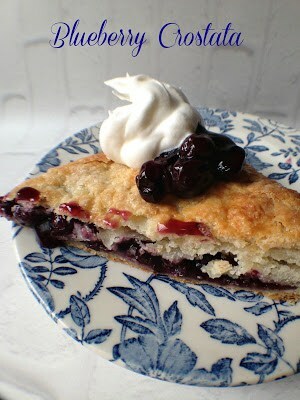 Place the filling or homemade blueberry pie filling on top of the dough, leaving at least a 2-inch border of dough with no filling. Dot the filling with butter, if using fresh blueberries. Fold the dough over the filling, leaving the center with no dough. Beat together the egg and water. Brush the dough with the egg wash and sprinkle with the vanilla sugar. Bake for about 45-55 minutes, until the dough is golden brown. Remove from the oven and allow to sit and cool before you serve it. 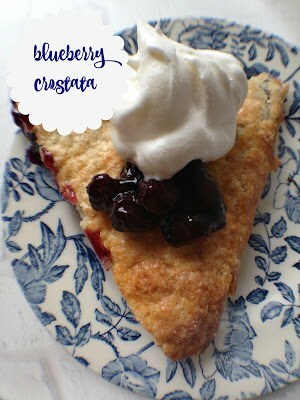 Great with whipped cream or vanilla ice cream.